Sun protection might seem a world away during winter months when the snow is flying and days are grey, but with the recent stretch of hot, sunny weather many Canadians have been experiencing, now is the time to make SPF a top priority. When it comes to sun protection, one area that is especially important to protect is the skin around your eyes, which is 10 times thinner than the skin on the rest of your face. “Because of the thinness of it, it’s more susceptible to things like eczema or dermatitis, things like irritation and also to aging,” says Dr. Lisa Kellett, a dermatologist at DLK on Avenue and member of the Canadian Dermatology Association. Damage from the sun can appear on the face as fine lines, skin sagging and even brown coloured sun spots, all of which can make you appear older than you really are. According to a Leger Marketing survey, forty per cent of women say their eyes are the facial feature that has aged the most. So what can you do to prevent it? She also says that people can use a cream containing a 1% solution of vitamin A (also known as retinol) applied to the eye area at night, while also using a cream containing a 35% vitamin C solution during the day. Eating a balanced diet is also key to a youthful appearance. “Your overall health is reflected in your skin. So if your diet is poor, then your skin won’t look as good as it should,” says Kellett. In addition to the above suggestions, there are other non-surgical things you can do to keep your eyes looking youthful. One of the least invasive is applying an eye cream containing light-reflecting particles. These particles help to brighten the area around the eye, creating a more youthful appearance. A treatment called Thermage is another option. A certified practitioner will put shields on the globe of the eyes to protect them, then use radio frequency to produce heat in the eyelid skin, which helps to tighten the area. 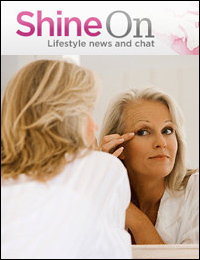 Another popular treatment, especially among celebrities, is Botox injections. 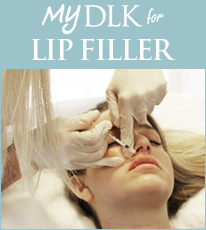 “Botox is useful for actually raising the brow of the eye to open up the eye and to soften crow’s feet,” says Kellett. Finally, using a product on the eyelashes to help make them appear fuller is another way to make a more youthful-looking eye. Always ensure that you find a certified practitioner if you’re considering any cosmetic procedure, and learn the benefits and risks before having anything done. Not all procedures are right for everyone.